Whenever you are adding or changing things about your blog's template, you should always - yes, always! - be backing up your blog's template. Doing this one simple step can save you a lot of heartache and frustration in the event you accidentally delete some code from your template. By saving a copy of your template, you can easily restore the setting in case you make a mistake while editing your template. Just like the tutorial for how to back up your Blogger blog, this tutorial for how to back up your template on Blogger is super easy. 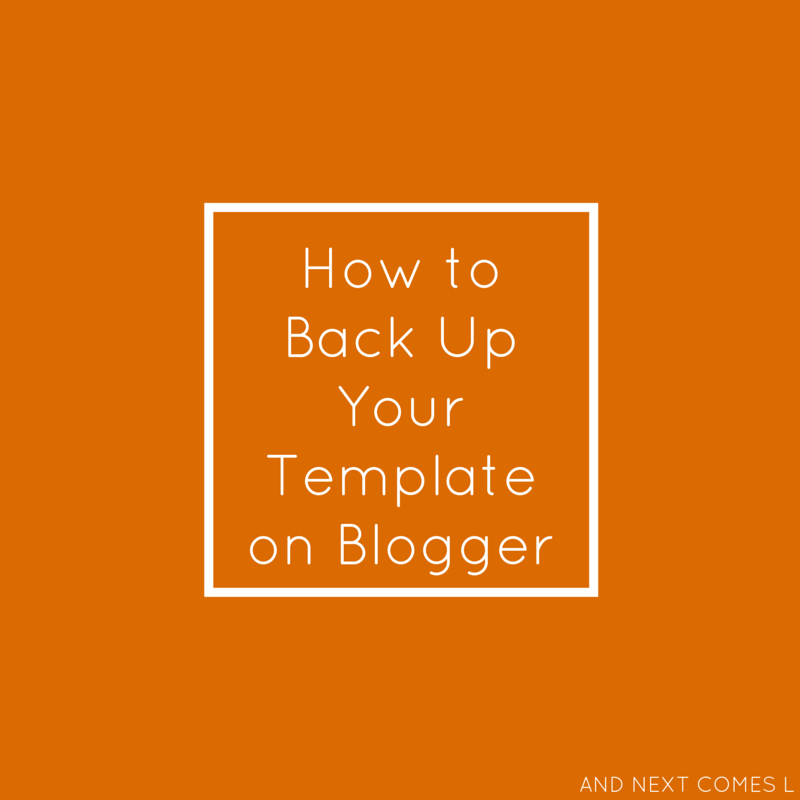 Just a few clicks and a few seconds of your time is all it takes to protect your blog's template. To back up your blog's template on Blogger, go to the template section of your dashboard. In the top right corner of the template section, you will see a button that says "Backup/Restore." When you click on that button, a little box will pop up like below. To back up your template, simply click the orange button that says "Download full template." Save that file to your hard drive and that's it! In the event that you mess something up while editing the template, you can upload the backed up template in the same manner. Just click on the "Choose File" button (see the photo above) to start uploading your template.